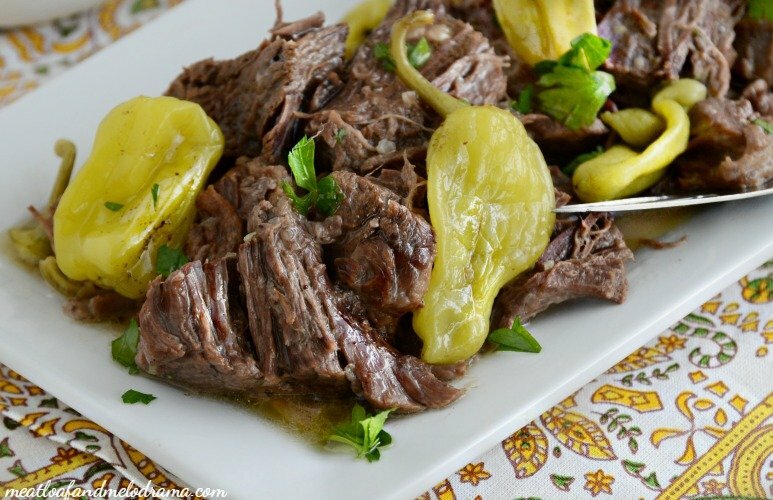 This delicious Crock-Pot Mississippi Chuck Roast is perfect for Sunday Supper or an easy weeknight dinner, and the leftovers taste amazing! You’ve probably heard of the famous Mississippi Roast recipe, and there’s a good chance that you’ve even tried it. I’ve been seeing this mouthwatering roast on Pinterest and other food blogs for a long time, and I’ve been meaning to make it for just as long. I usually reserve making roasts for cooler weather, even in the slow cooker. I mean, who really wants a hot roast when it’s over 100 degrees outside? But, I never got around to making it. So finally, I decided to give in and make a Mississippi roast in the Crock-Pot, no matter what season it may be. Besides, I figured the leftovers would make some pretty amazing sliders or tacos. And you can enjoy those anytime. The original recipe is pretty simple. 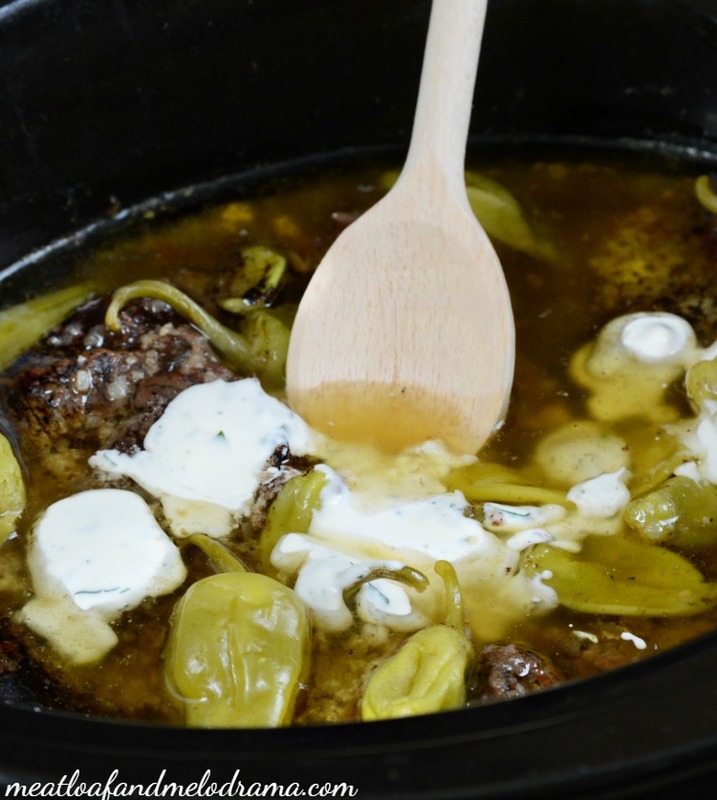 Basically, you throw some butter, ranch dressing mix, gravy mix and pepperoncini peppers into your slow cooker, and in a few hours, dinner is served! I even found an interesting article that talks about the original, and I’ll share that link at the end of this post. Anyway, as good as the original recipe sounds, I wanted to make a few changes since I don’t normally use dry mixes. Still, I think this was honestly the best roast I’ve ever had — even better than my usual chuck roast recipe, which I’ve been making for years. I started off by rubbing in a mix of sea salt and pepper over the roast, and then I quickly seared the beef in a hot skillet. This isn’t something you have to do, but I think it gives the roast some added color and flavor. Next, instead of a gravy packet, I used a heaping helping of dried, minced onions. This is what I usually use to add flavor to beef, and I figured that there would be plenty of extra flavor from the butter, peppers and ranch dressing. I cooked the roast on high for four hours. We went out to do some shopping, and when we returned, my oh my oh my, did the house smell good! If you’re going to be gone all day, you can cook it on low, instead. Right before I shredded the meat, I added a little homemade buttermilk ranch dressing. This gives the meat some extra tang, and I think it helps tone down the spice from the peppers. You can drain out some juice before adding the ranch, or you can leave it with the extra liquid. I’ve made this chuck roast twice now, and it’s been a big hit with the family both times. The first time, I used more juice from the pepperoncini peppers, which made it a little spicier. The second time, I used a little less. I personally preferred the extra spice, but the Hubs liked the second version better. Actually, I think the juice from the peppers helps to tenderize the meat, so you can add as much of it as you like! Either way, this was roast was tender, juicy and absolutely packed with amazing flavor. The best thing about this Crock-Pot Mississippi Chuck Roast is that you can totally customize it to suit your own tastes. I don’t think there’s any right or wrong way to make it. All I know is that this recipe is a keeper, and the leftovers really are incredible. By the way, I’ll be sharing a juicy shredded beef taco recipe with you all later! And if you’re curious, like me, you can read all about the origins of the original recipe for Mississippi Roast. Mine too — It’s the best, isn’t it?! 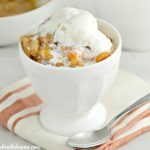 This is so easy and so delicious! I could eat it every week! I think I could too — It’s now one of our favorites! 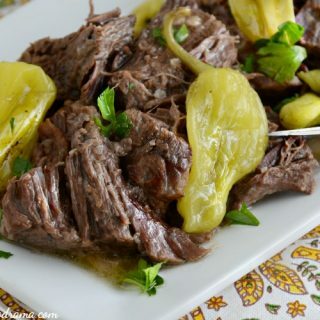 We love Mississippi pot roast here, so I’ll have to try your version soon! Pot roast is a year-round favorite of mine! And this one looks amazing – SO tender! Yum. I love adding butter to the finish of many dishes. It gives such a lovely flavor and makes the taste of whatever you’ve made linger longer on the tongue. This looks amazing! I love making chuck roast, just like you said, the leftovers are perfect for sliders or tacos. Gotta love when you cook once and eat twice! 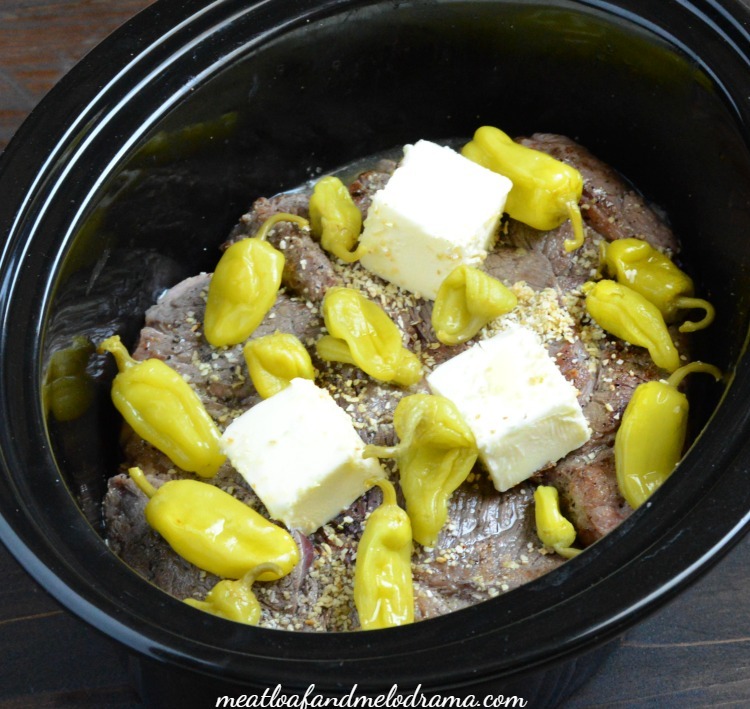 Love cooking pot roast in a crock pot, going to have to tweak my recipe and see how this one tastes. If you have time, I’d love it if you could join us at the DI & DI Link Party. 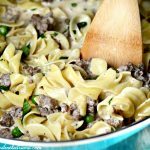 I think our followers would love to see your recipe. If not, have a great week! What a great dish. i love using my crock pot. 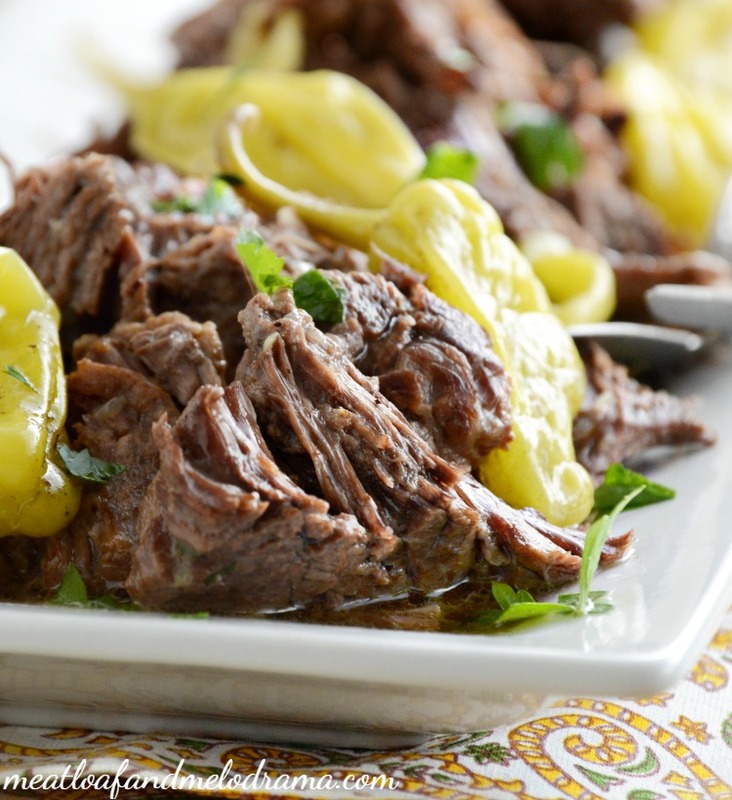 pot roast is one of those dishes we enjoy year round. 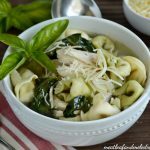 Thanks for sharing this delicious recipe at DI&DI.